Our outpatient detox provides medical care and detox for all chemical dependency issues. What is detox from alcohol and drugs? You might find many facilities that claim services labeled as alcohol and drug detox simply medically stabilize the individual without completing the process of detoxification. The process of detoxification from alcohol and drugs is not typically accomplished in 3 to 4 days. The goal of our alcohol detox in St Louis and alcohol detox in Kansas City is to eliminate the effects of withdrawal, medically stabilize the individual, prescribe medications that eliminate the ability and minimize the desire to use once discharged from our program, in addition to establishing a plan for care upon exit. More about Heroin, Opiate, and Opioid detox. Our outpatient detox utilize detox medications that remove or minimize withdrawal as well as those that control cravings and block the clients abilities to use while in treatment. These medications can aid the individual as they continue their addiction treatment and provide support by eliminating cravings and blocking the ability to obtain a euphoric effect from alcohol and drugs. Unknown to many and contrary to what media depicts, if you do not have a comorbidity that requires 24-hour monitoring or you are motivated to change then you may not require inpatient detox or inpatient rehab at all. You should consult your physician or schedule an assessment at one of our facilities to determine your needs. Many individuals are excellent candidate for success in an outpatient alcohol detox in St Louis or alcohol detox in Kansas City. Many outpatient rehab centers can accomplish the same outcomes as an inpatient and isn’t limited to just a few days of care at extravagant costs. 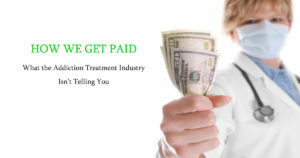 Inpatient detox and rehab programs are extremely expensive even with insurance coverage and is for some an unneeded expense. Both our Kansas City and St. Louis outpatient alcohol and drug detox programs are tailored in length to the individual and their needs, but typically lasts 4-6 weeks for outpatient alcohol detox and 4-8 weeks for outpatient opiate detox. Outpatient detox for other drugs varies. Depending on the individual these timeframes can be much longer and in some cases clients are best served with stabilization where they remain on prescribed MAT medications until contraindicated. Individuals in our outpatient alcohol and drug detox do not need the structure and level of care that an inpatient detox provides and have the ability to detox while continuing with their normal lives. Our outpatient alcohol and drug detox is available as a single program but is also included in our partial hospitalization programs, intensive outpatient programs, and general outpatient programs for those just entering alcohol and/or drug addiction treatment in St. Louis, Kansas City, or via Telemedicine. Our outpatient detox provides clients with ongoing and frequent medical care combined with therapy and other modalities important in the process of detoxification from alcohol and/or drugs. 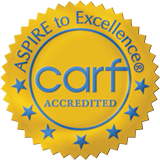 Our outpatient detox is not simply limited to infrequent doctors’ visits and medication. The goal of our drug and alcohol detox in St. Louis and our drug and alcohol detox in Kansas City is to gradually remove the physical dependence on the drug and/or alcohol and provide a stable platform to continue addiction treatment and support once the outpatient detox is complete.